Space Trek programs use our custom-designed hardware to teach principles of robotics, rocketry, and atmospheric science in the unique setting of NASA’s Kennedy Space Center. 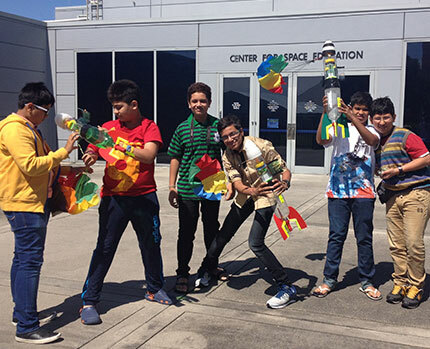 Students program robots to operate on Mars, predict and measure performance of rockets, and gather data about Earth’s high atmosphere, with guidance from experienced coaches in a challenging and fun environment. Our team is not only capable of developing cutting edge course content but also the hardware and software involved all our programs. From designing and manufacturing robot and rocket parts using a 3D printer and laser cutting machines, to advanced electronics needed to operate the them, and writing sophisticated softwares for running our robots or long distance telemetry involved in our Near Space Investigation program, we do it all indigenously. engineering and technology (STEM) with a space exploration background. 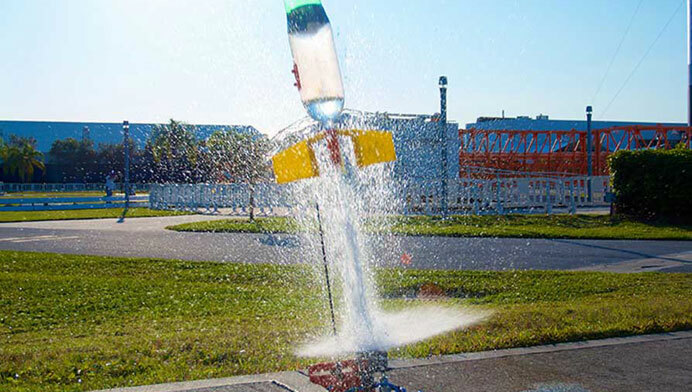 Work as a team to construct and launch a water rocket system, test the rocket engine like real NASA engineers and accomplish missions to send mankind to outer space. A week long experience combining the challenges of Robotics and Rocketry with focus on enhanced learning, and an out of the world adventure. 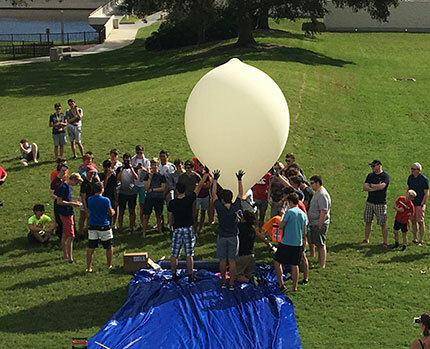 Developed in Space Trek’s lab, our flight computer and experiment pods offer a comprehensive solution for rigorous high-altitude weather balloon launches to high schools, museums, science centers and research organizations. Equipped to cover a range of more than 65 miles, our systems can transmit data using up to 30 sensors in real time. Apart from the flight computer, the NSI system consists of PODS – wireless sensor processing units. Each Pod is capable of communicating with up to 4 analog, 4 digital and 5 I2C sensors. 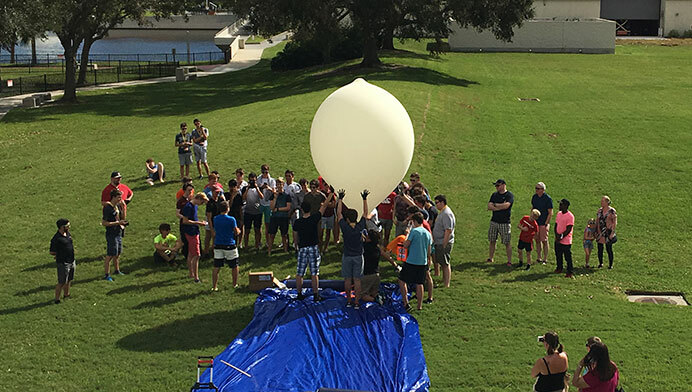 With the ability to connect 30 external sensors on the Pods, our system can handle highly sophisticated and scientific weather balloon launches. Bring the excitement of Rocketry to your classroom. 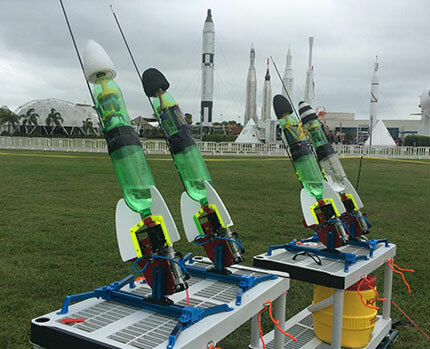 From testing water rocket engines, to launching rockets in a controlled environment, we bring the complete Space Trek Rocketry experience to you. Our service will include the BETA testing system, two launchers and enough water rockets to engage a class size of up to 40 students. The program will be customized based on the amount of time available, the number of participants and the designated educational goals.